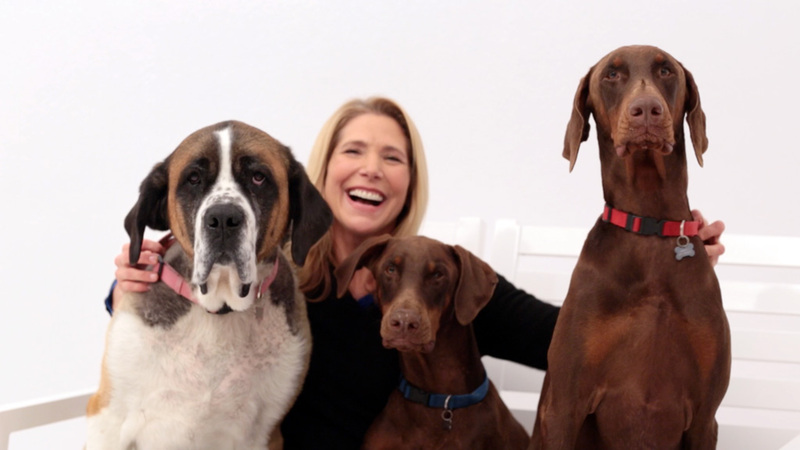 Clare Salstrom with her three dogs. Clare is an animal welfare advocate and dog lover who believes in prioritizing animals’ quality of life and minimizing suffering. She worked to get “The Prevention of Farm Animal Cruelty Act” passed in 2010 (CA Proposition 2). Clare was raised in Saudi Arabia and Texas, and she has called California her home since getting her BA in Theatre, Film and TV at UCLA. Clare is a professional actress. Heather with her husband, Corey, and their four dogs. Heather has been a long-time dog lover, particularly the Husky breed. Her current pack includes three husky mixes, all rescues. Originally from Canada, she now lives in Los Angeles with her husband, four dogs, one cat and a few fish. A classical concert pianist and composer, Heather also composes music for film, TV, and video games. More recently, she has turned her creativity towards writing, directing, and producing.